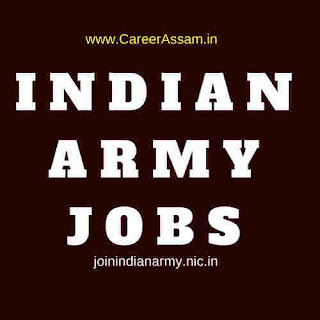 Apply for Bongaigaon Indian Army Job in Assam 2017. This vacancy is advertised by Indian Army Avayapuri for various posts under Indian Army Recruitment Rally in Assam 2017 for eligible and interested candidates. If you are interested in Indian Army Job then apply on or before 08 October 2017. Please read this article till the end to know details eligibility criteria, application process and selection process for the Indian Army Rally in Bongaigaon District of Assam. Indian Army will conduct a Recruitment Rally for the indenting and eligible candidates of Assam. This recruitment rally will cover lower Assam districts- Chirang, Kokrajhar, Goalpara, Barpeta, Dhubri & South Salmara Mankachar, Bongaigaon. Indian Army Recruitment Rally 2017 for Lower Assam will conduct from 17/11/2017 to 23/11/2017. Lakhimpur, Tinsukia, Sivasagar, Charaideo, Jorhat, Karbi Anglong, Golaghat, Dibrugarh, Majuli, Dhemaji. 17.5 to 21 years for General Duty/ General Duty, Gorkha, 17.5 to 23 years for other posts. Soldier General Duty (GD): Class 10th pass with 33% in each subject and 45% aggregate. No percentage required for higher qualification i.e 10+2 and above. Soldier General Duty, Gorkha: Class 10th pass with 33% in each subject and 45% aggregate. No percentage required for higher qualification i.e 10+2 and above. Soldier Tradesman: Class 10th simple pass (8th Pass for Mess Keeper and House Keeper only). Soldier Technical Nursing Assistant: (i) 40% in compulsory subjects (Physics, English and Biology) and 50% in aggregate in class 10+2/Intermediate. (ii) In case of a graduate having BSc degree(Botany/Zoology/Bio-Science) and English (Simple Pass) the stipulation of percentage in Class XII is waived off. However, the candidate should have studied all the four specified subjects in Class XII also. Soldier Clerk/Store Keeper Technical/ Inventory Management: (a) 12th pass from any stream (Arty/Commerce/Science) with minimum 60% in aggregate and 50% in each subject. (b) Candidate must have studied English and Math/Accounts/Book Keeping as compulsory subject at 10th or 12th Standard with minimum 50% marks in each of these subjects. (c) Even if a candidate is graduate or has a higher qualification percentage marks in Class XII would be applicable towards his eligibility. You should apply online for this recruitment rally of Indian Army in Upper Assam. Online registration is available at www.joinindianarmy.nic.in from 25 Aug 2017 to 08 Oct 2017. The selection process of Indian Army Recruitment Rally is of five steps. You have to qualify in the recruitment rally to get in the farther selection process of Indian Army. 1. Screening Medical Exam - As per medical specifications. 2. Written Test – for all categories except SOL NA and Sol Clk will be on 26 Nov 2017. Likely Venue – KV Narangi, Guwahati (Assam). Date and Venue of Sol NA and Sol Clk will be intimated later. 1. Photographs. 16 (Sixteen) Copies of latest Passport size colored photographs of candidate in light blue or white background only. Photographs should not be attested. (a) Education Certificates (i) Matriculate and above Candidates. Admit Card, Marks Sheet, Board Certificate of 10th and 12th (ii) For 8th and 9th Class Pass Candidates. Transfer certificate and marks sheet of class 8th countersigned by Inspector of Schools and District Education Officer with rubber stamp, round stamp and mobile No of signing officer. Birth certificate signed by Registrar, births and death with round stamp and name of signatory. 3. Permanent Residence Certificate. Permanent residence certificate with color photo of candidate issued by DC/ADC with rubber stamp and official seal. 4. Caste/Tribe Certificate with photo of candidate signed by DC/ADC affixed with rubber stamp and official seal. 5. Character Certificate. Character certificate not older than six months from Headmaster/Village Headman/Police Station duly signed, affixed with rubber stamp and round stamp. 6. Unmarried Certificate. Candidates below 21 years must bring unmarried certificate signed by Gaon Burah/Head of Village with official stamp and signature stating that candidate is unmarried. The certificate should not be more than six months old. 7. Documents for Gorkha Candidates. Candidate will include their caste/sub caste in affidavit which is to be attested/countersigned by the Notary, caste certificate will be obtained by candidate from the village sarpanch. 8. Documents for SOEX, SOS, SOW, SOWW. Relationship certificate issued by Record Office. 9. NCC A/B/C Certificate for NCC Cadets affixed with photo, signed by issuing authority and affixed with rubber stamp and round stamp. 10. Candidates should bring their AADHAR Card/Voter ID Card/ PAN Card. Note- All documents will be verified. Candidates with fake certificates/documents will be disqualified and handed over to the police. Any tampering (Overwriting/erasing/unattested corrections) will render the certificates/documents invalid. After the rally there will be a medical examination for the eligible candidates on 30-31/11/2017. You should qualify in the medical test to get the army job in Assam. There will be a Common Entrance Examination (CEE) for qualified candidates will be held at Jorhat on 28 Jan 2018.